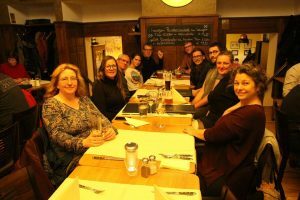 As part of our commitment to furthering and enhancing our education as ambassadors of German history, the Berlin Guides Association took its monthly excursion to the city of Weimar last month to explore all its rich history and to learn more about the city’s reputation as a center of art and culture. 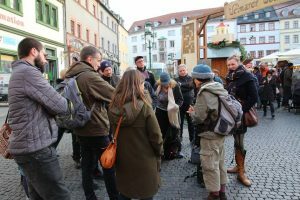 Around 20 of our members took a tour of the city and followed the traces of its classicist and post-classicist past, as well as the traditions of its modern movement – which included the city’s famous Bauhaus history. 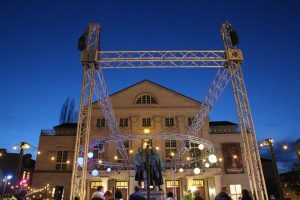 Furthermore, our guides visited the Weimar Theater which was the birthplace of the so-called Weimar Republic – Germany’s first attempt at democracy which lasted from 1919-1933. This was the venue where the 423 delegates of the first ever democratically elected National Assembly of the Republic convened from 6 February – 30 September 1919. 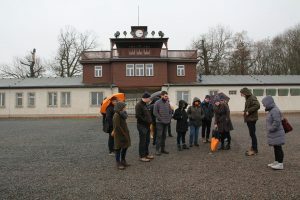 The following day our members ventured just a little over 6 miles northwest of Weimar to the Buchenwald Concentration Camp Memorial site where they received a private tour from one of the camp’s guides. 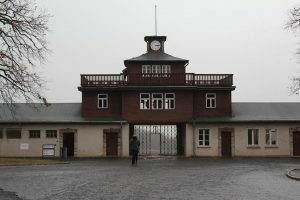 In operation from 1937-1945, this camp was first established by Heinrich Himmler’s SS to detain political opponents of the NSDAP, persecute Jews, Sinti and Roma, and imprison the so-called “enemies of the state” – such as, homosexuals, Jehovah’s Witnesses, ex-convicts, and various other people deemed “unfit” for German society in the Third Reich. 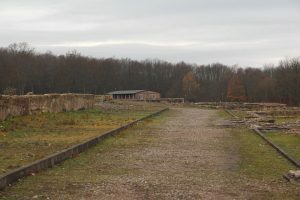 The foundations of many original barracks are all that remain except for one in this part of the camp. After the onset of WWII, Buchenwald became an important place for so-called “undesirables” from all across Europe to be sent to. 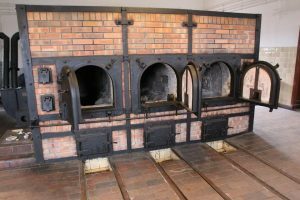 Around 280,000 were imprisoned at Buchenwald and its 139 sub camps and more than 56,000 would perish there as the result of torture, medical experiments, exhaustion, and murder. Our guide did a fantastic job uncovering the realities of life and death in the camp while also unraveling the complex history of not only the Holocaust itself, but also how the Soviets turned Buchenwald (located in their occupation zone after the signing of the Nazi unconditional surrender) into a so-called “Special Camp” for their own enemies, political dissidents and others whom they felt necessary to imprison. 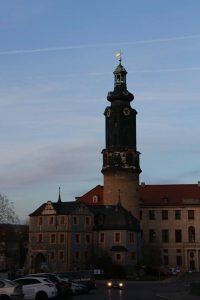 If you travel to Germany in the future, a visit to Weimar and or the Buchenwald Concentration Camp Memorial is definitely worth considering. From Berlin, it takes roughly 2 1/2 hours to reach by train; and from Munich, a train journey will take just under 3 hours. 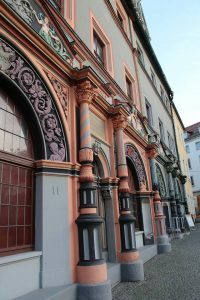 (A special thank you to Berlin Guides Association member, Maria Bergman, for providing the pictures for this blog post).